You will never forget a trip to amazing Morocco! Even more, if you plan on hiking, you will see plenty of beauty in the cities and in the surround outdoor regions. 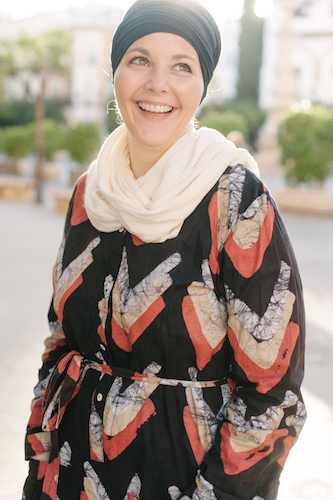 Morocco is a wonderful blend between desert and mountains and the gorgeous shadow of the Atlas Mountains is impressive for someone who first sees it. So which hikes should you take? We have broken it down to the 5 more unforgettable hikes in Morocco. Imlil is a village located high up in the Atlas Mountains, at 1,800 meters above sea level. You will find a nice base to summit Mount Toubkal as well as the hub of mountain activity before you start your trek. Toubkal is the highest mountain in the country and this is where many hikers will be heading. You can take a tour through of the other nearby villages of Ikkiss and Asni. In the winter you’ll get to see thick snow and in the summer, you can hike it in 2 or 3 days and fall in love with the local forest as you trek to reach the top. Keep in mind this is a difficult mountain to climb, and you will need special gear and be fit enough to endure the climb. You should never hike this path alone, always hire a guide as the weather and conditions are constantly changing. 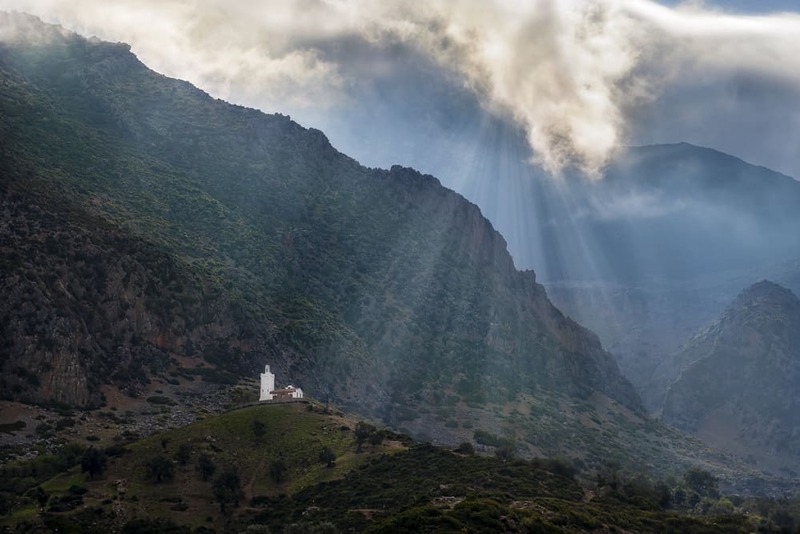 Located in the Atlas Mountains, you will find Jbel Saghro which offers picturesque landscapes. While the temperatures here are not as harsh as in other areas, you will still have a difficult journey that will last about a week.Located at 2,712 meters, you can get altitude sickness, so if you are lucky to make the whole climb, be sure to look at the caves in the area as well as cave paintings located inside of them. You will pass by bare rock and villages like N’Kob and Tazzarine. This area is very dry despite being close to the Atlantic Ocean. You will want to be prepared with special gear and stay hydrated by using a survival straw when you drink clean water (it’s the best way to not get ill while visiting as a tourist). Having a survival straw can mean the difference between healthy drinking water, and contaminated, leading to illness. Hiking is very hard when you need to seek medical attention off of the trail. It’s best to be prepared to filter your own water. Located in the central area of the Atlas Mountains, you can find this to be a less difficult journey than the first two we have mentioned. You can then enjoy the scenery around you which includes wild flowers, rivers and valleys. If you can spend a week here, it is really worth it, though it only takes about 4 or 5 days to trek through this area. It is also worth noting that this is another dry area that can have snow-capped mountains in the winter, which melts into the valleys and streams nearby. Located in the Anti-Atlas region, you can find Sirwa in the southern part of the country. With many peaks, this once volcanic mountain connects the Anti-Atlas region with the High Atlas region. 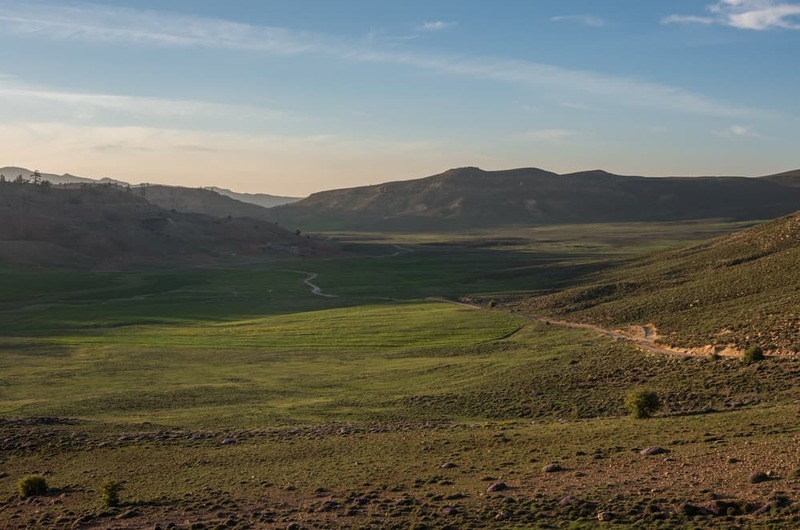 You can take one of two trails to get up; the hike only takes 2 days, and you can take an extra day or two to go through Berber valleys, fields, and visit the city of Taliouine for local flavor. Be warned that the final leg of this trip can be risky, but overall this is a moderate hike. At over 3,300 meters high, you will see the volcanic mountain in all of its glory. This is a hike that is not to be missed due to its natural environment and awe inspiring beauty. Don’t forget to stop in a village and taste some of the local food, especially dishes and tea using saffron which grows prominently in this region. Besides the scenery, you can find some great meals that have been around for generations. Away from the Atlas Mountain region, in northern Morocco, you will find the Rif Mountains. 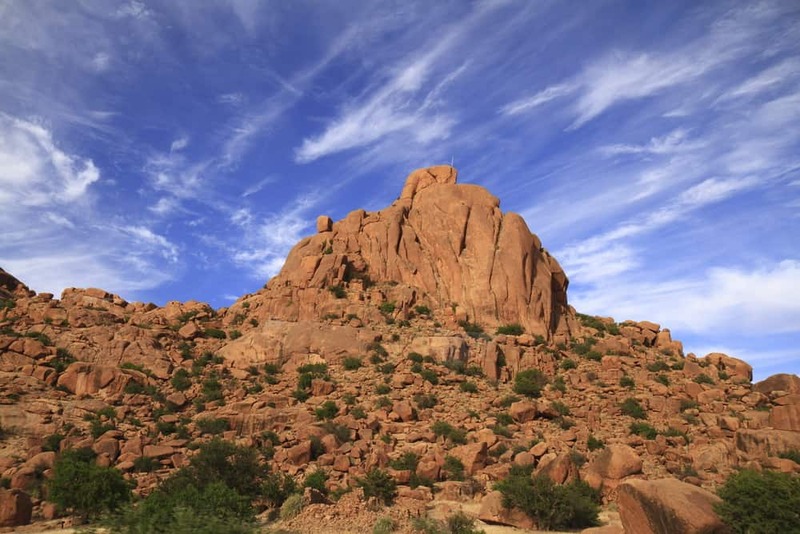 This mountain range is lesser known to visitors but is well known among locals who love to spend time here. Not only can you hike this range for several days but you can also take day trips to various cities and explore what they have to offer. Hiking from Chefchaouen to the Ras El-Mass River, is a day trip you can complete without getting overtired. You get to choose how long you want to explore this mountain range, due to the diversity and abundance of trails! However, if you want a more difficult route, you can hike Jebel al-Kalaa, which takes you to a scenic view of the town. Many overnight trips are taken when you go to explore Talassemtane National Park, where you can take your time and see everything from the mountains and trees to the valleys and rivers. In this region, as with all others it is really important to hire a local, licensed mountain guide. The terrain is ever changing and you really need a local to ensure your safety. 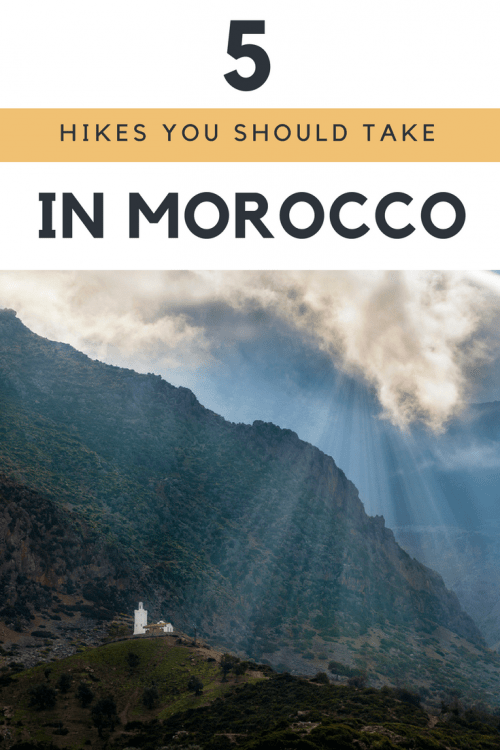 Are you ready to hike Morocco yet? Pack your bags and pick a hiking trail, because they are not to be missed! Morocco is a beautiful country that offers a lot visually and in terms of outdoor adventures that are once in a lifetime. 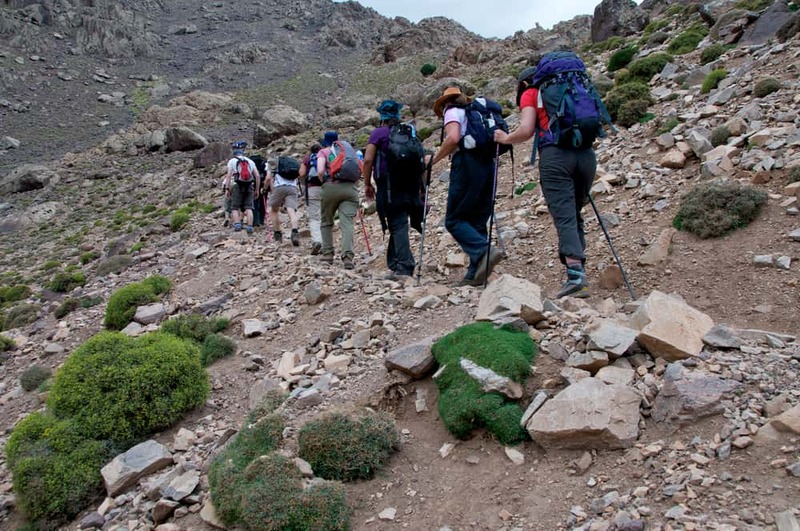 If you love to hike, and like some difficult trails to take down, Morocco is the place to go! Be warned that the altitude is high, so you should be prepared for that should you find yourself ill. That’s why being prepared is the most important thing you need to take care of before you plan an outdoor adventure in a different climate. Now, we hope you don’t have a hard time choosing a trail! thanks for your post and all the tips, all of it sounds pretty amazing. My boyfriend and I are coming to morroco in a few days and we’re wondering if there are still regions in morroco, where it’s allowed to camp. Since the incident in december it’s forbidden to camp in the Toubkal area and I couldn’t find any informations concerning the other regions. Can you maybe give me some Intel on that? Honestly I’m not sure. 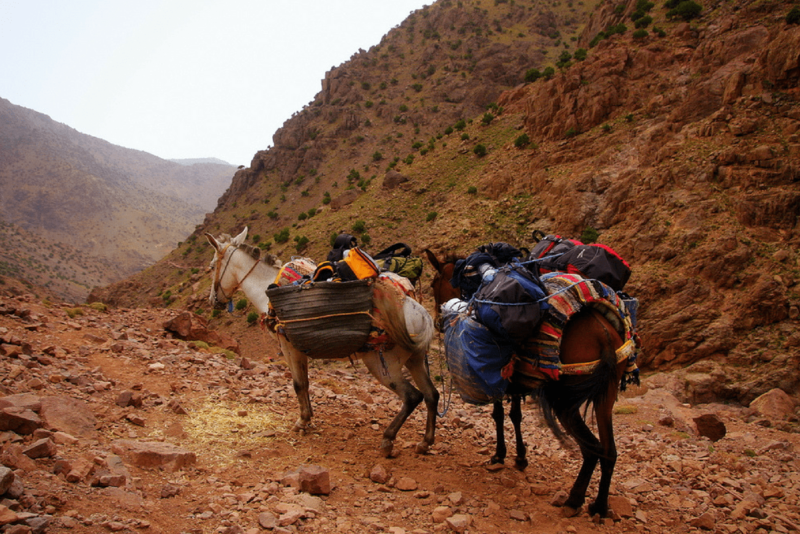 I would never advise camping in any wild areas of Morocco especially mountain regions just as a general rule. Always with a guide and in areas where people know where you are. I’ll be in Morocco in January and would love to hike a bit, would you maybe know if one could find any type of over night accomodation in M’Goun Massif? Thanks so much, love your articles! Hello, I’m so sorry but I’m not super familiar with accommodation options in that area. You might connect with your hiking guide as they often have connections to homestays and other places to stay that would fit into your hiking plans. Please do hire a guide for any hiking you plan to do! These hikes look amazing. What a great way to experience Morocco. I wonder the differences between hiking in Summer or Winter is and if there is a preference. It seems like a lot of work but the views are breathtaking! Great Info.